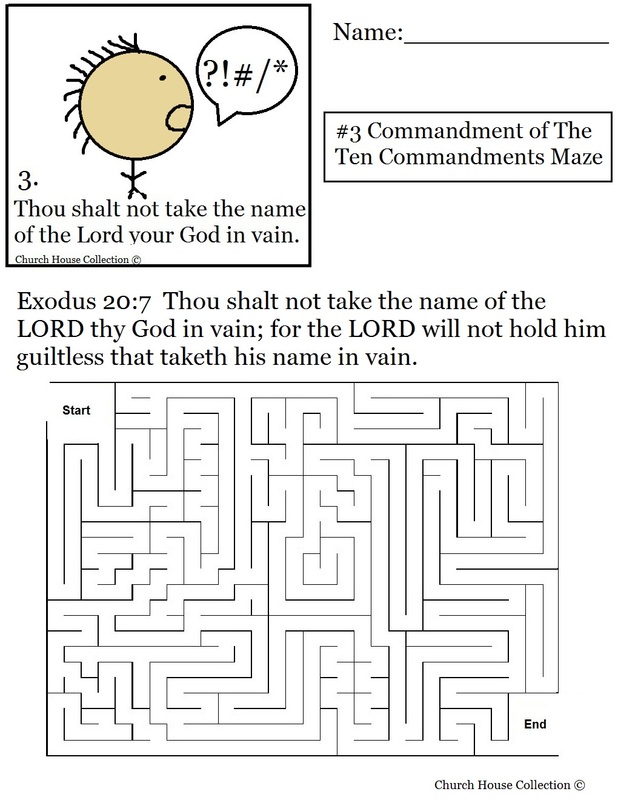 This is a free printable Ten Commandments maze for the kids on the third commandment in Exodus 20:7. 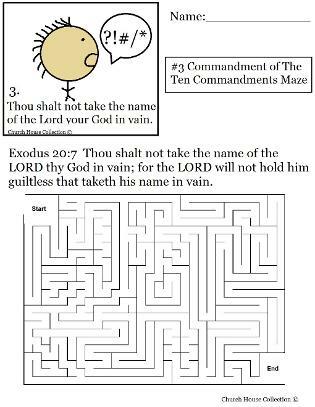 Thou shalt not take the name of the Lord thy God in vain. Use this with our matching lesson plan we offer.